หมายเหตุ:ภาพถ่ายของนักบินอวกาศ(Astronaut photograph ISS056-E-6994) ได้มาในวันที่ 9 มิถุนายน 2561 โดยใช้กล้องดิจิตอล Nikon D5 digital ที่มีเลนส์ 28 มม. Ahrends, A. et al. (2015, September) Current trends of rubber plantation expansion may threaten biodiversity and livelihoods. Global Environmental Change, (34), 48-58. Channel NewsAsia (2016, August 8) Illegal logging still threatens Cambodia’s forests despite ban: Special report. Accessed January 9, 2017. Davis, K.F. et al. 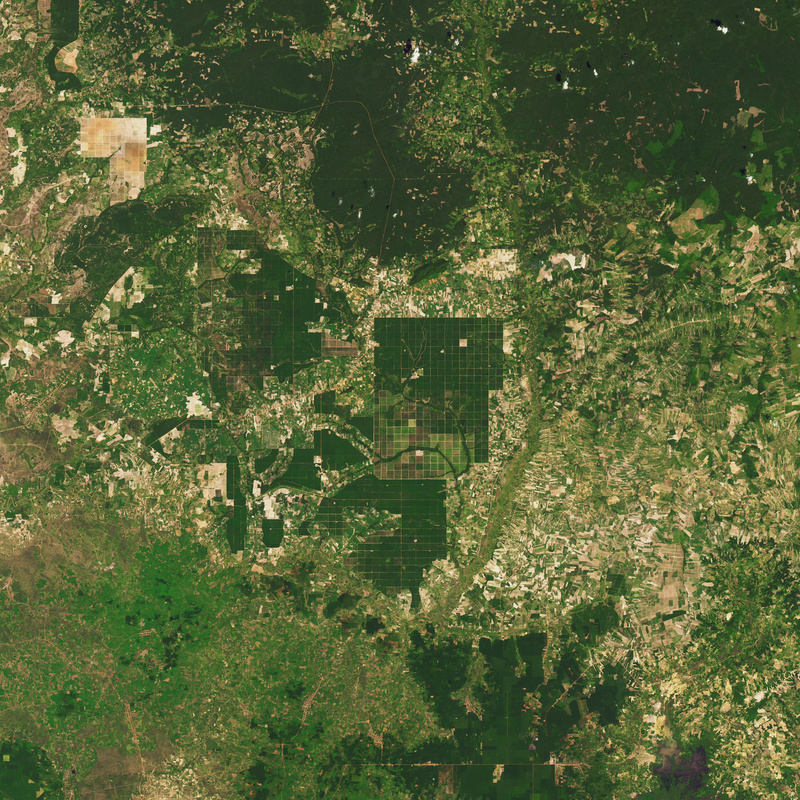 (2015, September 21) Accelerated deforestation driven by large-scale land acquisitions in Cambodia. Nature Geoscience, (3), 772-775. Global Forest Watch (2015, September 2) Satellites Uncover 5 Surprising Hotspots for Tree Cover Loss. Accessed January 9, 2017. Global Forest Watch (2016, January 21) Video: Matt Hansen and Andrew Steer Discuss the Future of Forests. Accessed January 9, 2017. Grogen, K.et al. (2015, November) Cross-border forest disturbance and the role of natural rubber in mainland Southeast Asia using annual Landsat time series. Remote Sensing of Environment, (169), 438-453. Hansen, M. et al. 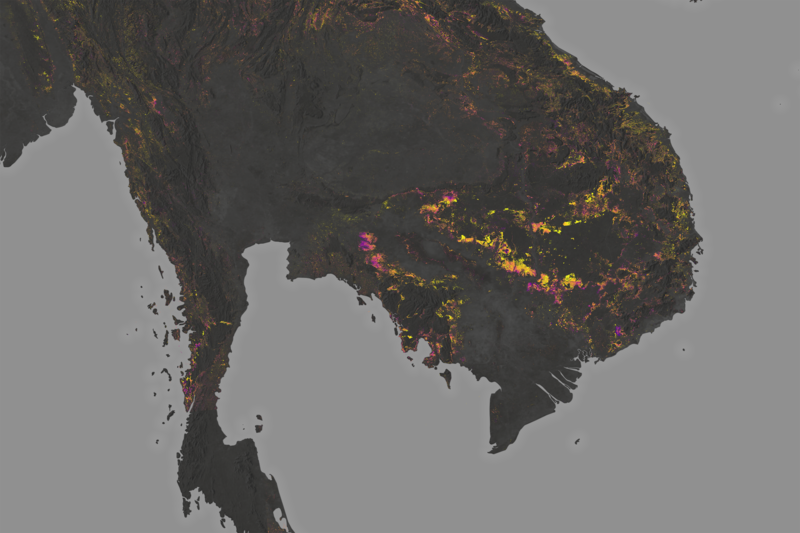 (2016, March 2) Humid tropical forest disturbance alerts using Landsat data. Environmental Research Letters, 11 (3). Forest Trends (2015, July) Conversion Timber, Forest Monitoring, and Land Use Governance in Cambodia. Accessed January 9, 2017. LICADHO (2016, December 13) Cambodia Concessions. Accessed January 9, 2017. Nature (2016, October 4) Warning to forest destroyers: this scientist will catch you. Accessed January 9, 2017. 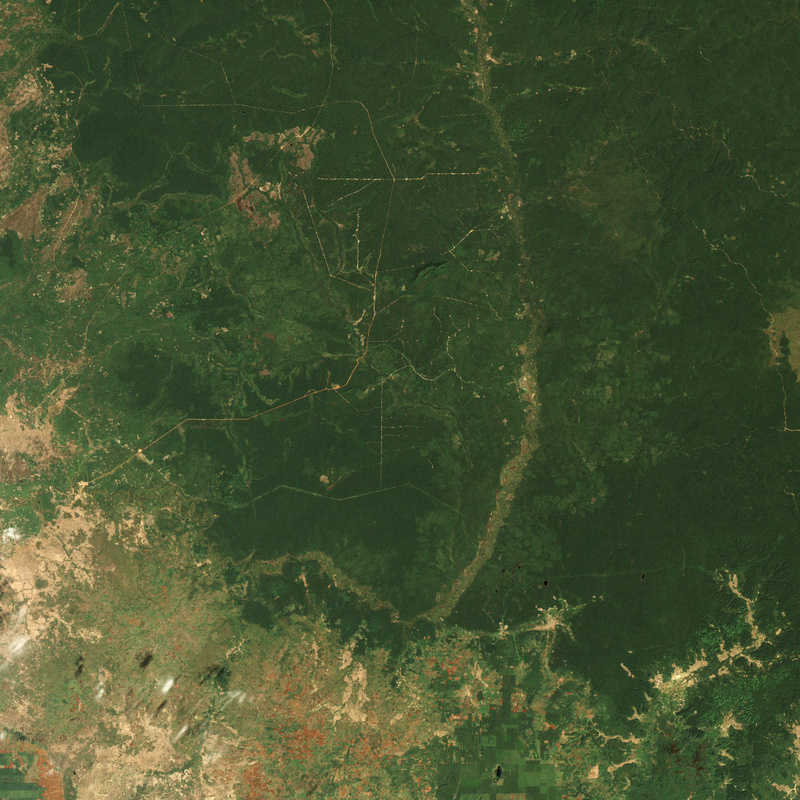 Open Development Cambodia (2016, March) Forest Cover. Accessed January 9, 2017. The Cambodia Daily (2016, December 1) Eyes in the Sky Put Illegal Logging in Focus. Accessed January 9, 2017. The Cambodia Daily (2015, September 16) Cambodia Sees World’s Fastest Acceleration of Forest Loss. Accessed January 9, 2017. The Cambodia Daily (2016, October 28) (Un)protected Areas. Accessed January 9, 2017. NASA Earth Observatory images by Joshua Stevens, using Landsat data from the U.S. Geological Survey and Global Forest Watch. Caption by Adam Voiland. กรีนพีซเปิดโปงแบรนด์เสื้อผ้าชั้นนำ ปล่อยสารพิษลงแหล่งน้ำในอินโดนีเซีย | Greenpeace Thailand.